Great starter kit for home bars! Complete line up of accessories prepares you for drink preparation and service. Gets you ready to ready to open, pour, measure, mix, shake, garnish and serve most any beverage. 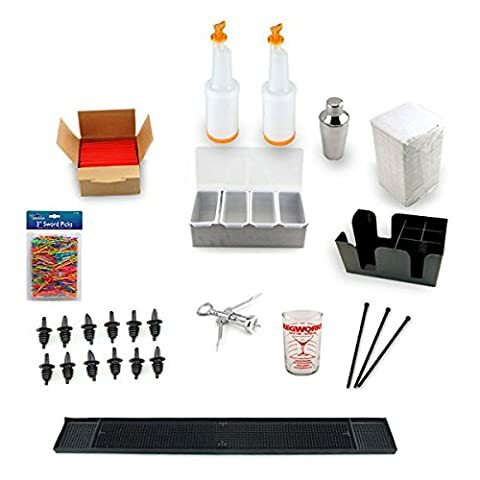 Why waste time and money collecting your bar accessories one by one when this bartending kit has everything you need? 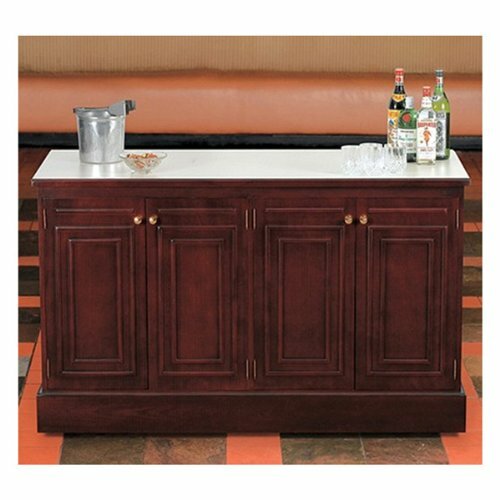 * Get your bar started the right way with one of the most complete bartending sets on the market. It has everything you need to open, pour, measure, mix, shake, garnish, and serve. We even included extra little details like cocktail napkins, straws and a bar caddy to keep everything organized. 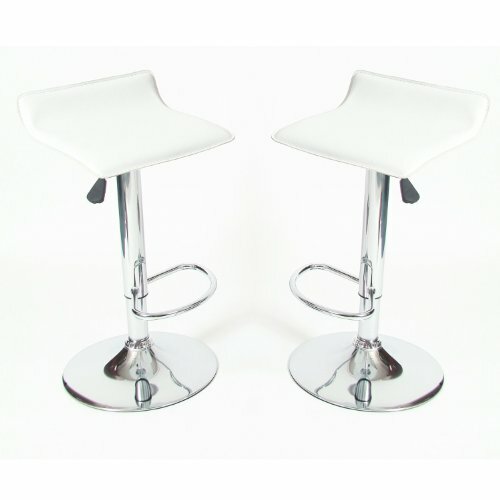 * Ensure that your home bar has all the basics with the one-stop shopping convenience of this complete bartending kit! * Please note: For an even more comprehensive kit, please click here. 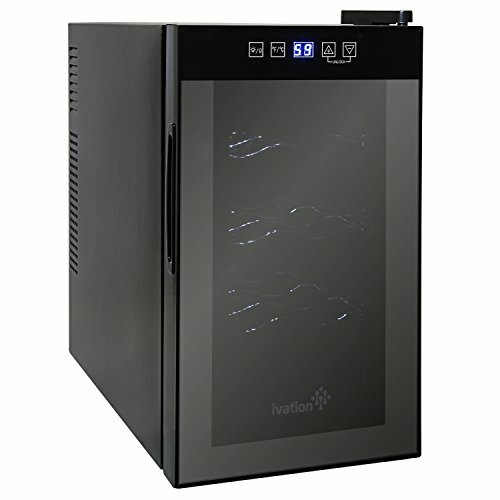 * Includes – (1) 3 Piece Mini 10 oz Stainless Steel Cocktail Shaker, (1) Black Plastic 6-Compartment Bar Caddy, (1) Black Rubber Bar Spill Mat, (1) Wing Style Wine Bottle Corkscrew, (1) Stainless Steel 4-Compartment Condiment Tray, (1) E-Z Step Plastic Cocktail Jigger (Hand Wash Only), (2) Mix & Pour 1 Qt Juice Containers, (12) Plastic Liquor Bottle Pourers, (24) Plastic Black Cocktail Stir Rods, (500) Cocktail Drink Napkins, (500) Plastic Drink Swords, and (1000) Cocktail Straws. 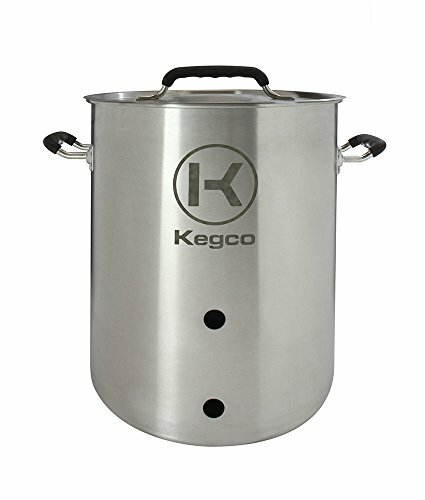 Find tons of great bar accessories at KegWorks!